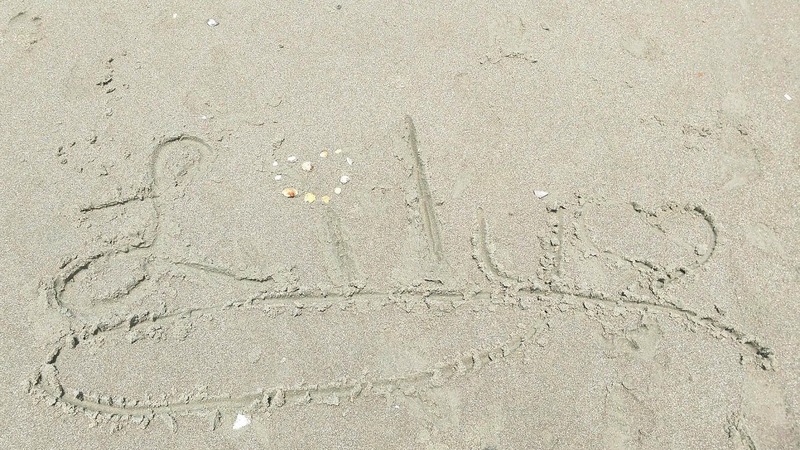 My new friend Michelle who is a local blog reader (she works at the hospital where Lily was born) sent me photos of her daughter writing Lily's name in the sand at Myrtle Beach, South Carolina. She wrote a sweet message with it: "When I told my daughter Carly about you and sweet Lily months ago she wanted to do something. 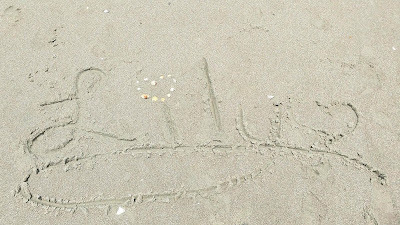 So today, she got to design Lily's name however she wanted, complete with an "i" dotted with seashells 🐚 she picked. It was sweet how she wanted everything to be perfect." Even little kiddos care about Lily. This is quite the masterpiece she created! The special touches are perfect indeed.